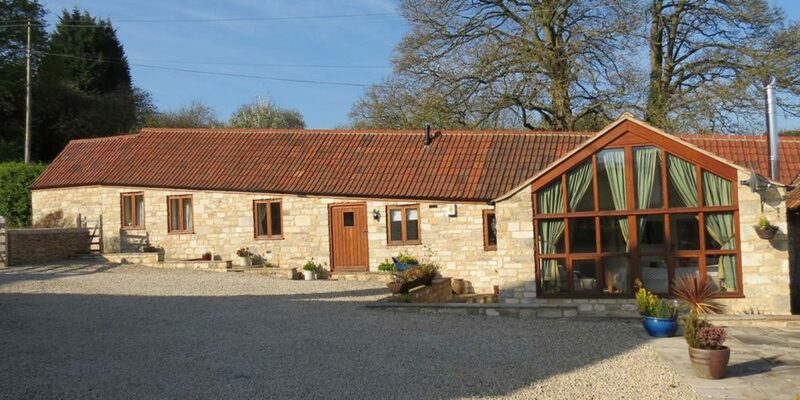 Barncastle is large Cotswold stone barn which has been converted to a high standard holiday home utilising local building materials such as Cotswold stone and natural oak all within the building. 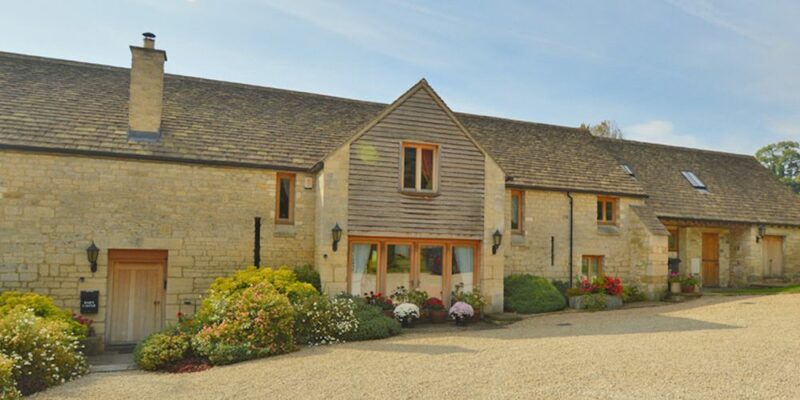 The dwelling is situated in the beautiful Painswick Valley and commands outstanding views over the Cotswolds. Its nearest towns of Painswick and Stroud are about 2 miles away whilst within short distances are the historic City of Gloucester with its excellent transport links and beautiful Cathedral, and Regency Cheltenham with its wonderful restaurants, shopping and famous race course. Accommodation is for a maximum of 10 persons in 4 double rooms, 1 twin room and 4 bathrooms. The twin room can be converted to a double room on request. There is a strict NO SMOKING policy in force. BarnCastle is available all year. We have an extensive website with details of the accommodation, photographs, and tariff. Bookings and enquires can be made directly via e-mail, enquiries@barncastle.co.uk or by telephone 07766514114. All guests can be provided with written directions to the barn which is described on our web site. There is ample car parking area to the front of the building which is accessed via the main gate from the Wragg Castle Lane the connecting road running between the A46 between Cheltenham and Stroud and the A 4173 between Gloucester and Stroud. The finish to the car parking area being gravel. Between the yard and the main door entrance there is a 1 step down onto a paved path and then a 1 step down into the house. If required there is a double glazed door that can be utilized which connects from the car park level with no steps. The key can be provided on request. The main entrance is in the front (left side) of the barn. The key for this door will be issued on arrival or instruction where to find it will be given if for any reason no one be available to greet the guests. The front door has a step down as previously stated. To the right hand side internally a standard alarm system is situated and instruction on how to use together with security code will be given when the key is handed over. It needs to be stated that there are five different floor levels to the ground floor area. After entering via the main door at this level there are two bedrooms and a bathroom. Along the corridor and at the end there are three steps up to the dining area. The dining area has two door openings to the outside, one to the front and one to the garden side. The dining table is situated in the centre of the dining room and seats up to 12 people comfortably. From the dining area there is an open staircase with 10 steps up to the first floor area. From the dining area there is a door opening into a well equipped kitchen area which has 2 steps down. Kitchen is fully fitted including a large American style fridge with ice making facility, range cooker and dishwasher. It has a large kitchen table and chairs. Floor is finished in traditional stone. From the kitchen area there are 5 steps up to another level which accommodates a utility room, service room and then another 2 steps up to a bedroom and bathroom area. From this area there is a 7 step staircase and 2 steps up to the first floor accommodation. The utility room is well equipped with a washing machine and tumble dryer. The service room accommodates the water heating unit and the boiler for the under floor heating system which are automatic and need not be touched. From the ground floor dining room area there is a 10 step staircase which leads on to a landing area where the main lounge is located which has an open fire, oak floor and beams and ample seating accommodation. It also offers Sky TV and Broadband. Logs for the initial lighting of the open fire will be provided free of charge and a small charge will be made for any additional supply required. Off this area there is a small reading, games area with TV and DVD player. To the right of the landing area there are 2 steps up to a corridor which leads to a bedroom and bathroom. At the end of the corridor there are a further 2 steps down which leads to a half landing which allows you to go down to the ground floor via 7 steps or up 7 steps to a private bedroom and bathroom area. At the rear of the dwelling there is a private lawned garden with well established bushes. It also has a stone flagged patio with table and chairs and a barbecue facility. Clients to provide their own charcoal. There are no plans to add or alter the building other than the general upkeep and painting which will be carried out at intervals when the facility is not occupied. We welcome your feedback to help us continuously improve our facility. If you have any comments please phone, e-mail or alternatively write to us at our home address.